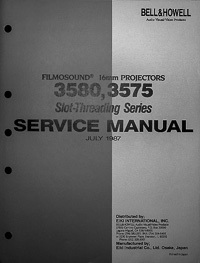 Eiki SL Super Slot Load II 16mm Projector Owners Manual Discounts Apply ! 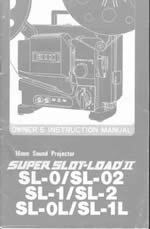 Excellent quality photocopy of the original owner's manual for the Eiki 16mm Sound Projector models SL-0, SL-1, SL-2, SL-0L and SL-1L. 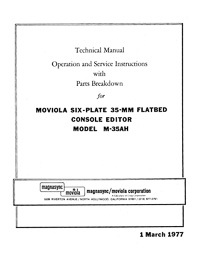 This 26 page manual is printed on double sided 8-1/2" x11" heavy weight paper, folded and stapled in the center just like the original. 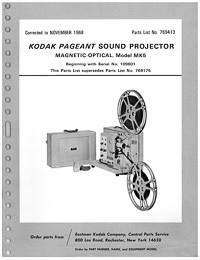 It contains technical specification, operating instructions, maintenance and cleaning instructions, troubleshooting charts and a list of accessories and common replacement parts.